It may be true that mistakes are just part of being human, though this mantra is inadmissible for highly intricate and stringent operations such as new account applications and loan approvals as well as other crucial banking workflow processes. However, despite this firm guideline, a lot of banks have endured irrelevant errors because they were extremely dependent on the manual paper-based procedures. These outdated banking process systems make bank employees less productive due to the procedure’s susceptibility to errors. In a worst case scenario, banking workflow becomes receptive to mistakes, as relevant and confidential data are being keyed into the forms manually. Thus, missing documentation in the application packets is made. When problems like the aforementioned errors, the chances of risks are enormously high. This kind of mishap in the banking workflow can create a ripple effect across the entire banking business process which can lead to poor financial decisions and other unfavorable financial services solutions. These undesirable banking process mistakes will lead to possible violations of regulations and damaged reputations that are immensely difficult to fix, especially that banks are solely dependent on irreproachable credibility, integrity, and reputation. Nonetheless, there are many banks that lack automated banking workflow processes and financial services solutions that can help in mitigating these issues. In a recent study conducted in the banking industry by banking professional experts, it was found out that there are only 18% of bank branches that directly scan images relating to financial loans or opening accounts into the bank’s back-end electronic systems. This means that about 82% of the bank institutions are still using manual processes that are undeniably slow and highly vulnerable to human error. These unpleasant inefficiencies will lead to massive backlogs. Therefore, creating inappropriate delays in processing, resulting in unhappy and frustrated customers. The great news to banking institutions is that there is an evident and effective solution to prevent these risks from occurring. The BPM for banking can help in the absolute resolution and efficiency of the banking process services deficiencies and inefficiencies. The BPM or Business Process Management is a brilliant systematic method that makes banking workflow and financial services solutions more efficient and effective than the manual procedure, and more flexible to the ever-changing environment. This is made possible through automated workflow process that involves the development of cost-effective banking software or financial services software. The financial software allows workflow automation that enables direct input of information into the system. This information entered will go through a variety of tools as part of the validation process. Hence, lessening or eliminating mistakes. This automated application in the banking business process also greatly helps in converting raw data into actionable or workable information faster and smoother. This is why more progressive banks and financial institutions opt to automated bank and financial services software to reduce errors in the banking workflow processes by improving accuracy and speeding up numerous groovy processes like approval workflow or document management. With this, banking operations will be faster and smoother. In an overview, automated solutions in banking business process workflow provide a lot of potential and viable benefits. So, banks and other financial institutions should check out these 6 imperative steps to a better banking workflow procedure. It is an extensively comprehensive solution. 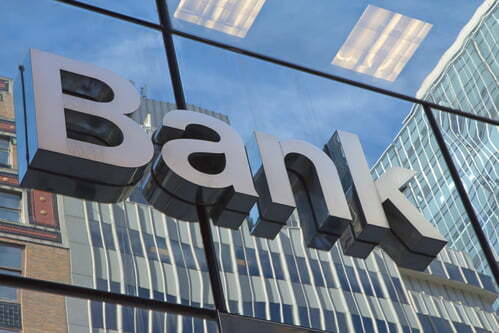 Select banking business process solutions that offer an all-inclusive package. It captures information from multiple input channels. It provides checklists to ensure completion of processing documentations. The checklists avoid incomplete files from being forwarded on the desks of underwriters. This solution will make sure that the document package will stay in the queue until it will pass through a checklist review and cleared by the automated system to be directed or redirected to back-end systems. It bridges the transfer of the captured integrated data into the back-end systems. The solution must have essential channels to act as bridges in transferring the captured integrated data into the back-end systems. 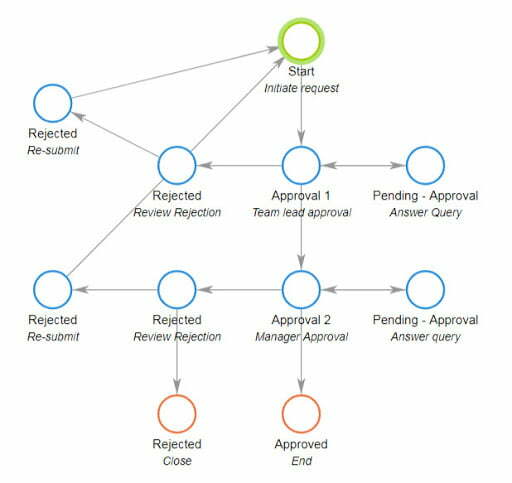 Thus, this automated flow will reduce errors that usually happen in manual transfers. It is built with an intelligent program application in extracting data. The best workflow solution systems can compare the extracted data to the bank’s existing data sources to make sure the accurateness of the data. It is also important to have proper transition and validation rules for automated banking workflows. Data validation ensures that the attributes that are associated with a form entry and the edits that were made to the entry are correct and the overall workflow is completed successfully. In order for a financial institution to remain its untainted reputation and provide the highest level of quality service to customers, acquiring to automation services is the answer. 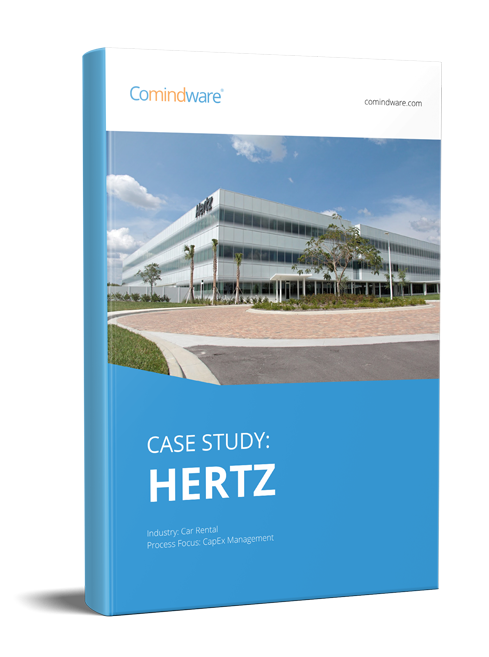 The Comindware Tracker provides you with highly comprehensive, well-structured and intellectual banking business process solutions that will make any banking workflow processes and other financial services solutions more efficient, accurate, and cost-effective. Thus, maintaining the credibility and living up to the continuous success of reputable financial institutions. You can avail for the 30-day trial, and see for yourself how this software can greatly help you in resolving known issues in your workflow and services. Maria Komarova is a Product Marketing Analyst at Comindware – a global software company delivering innovative Business Operations Management solutions enabling performance and efficiency optimization.